If David Bowie's final album reminds us of one thing, it's that Bowie was a true artist, right until the end. Throughout his career, Bowie was known for mixing and switching different genres and styles, and with what would prove to be his last album he has produced possibly his most experimental and creatively adventurous work. Blackstar is a fairly short album at around 40 minutes long, and yet it's hard to classify such is the combination of disparate influences and the ever shifting texture of the music. It tries everything from wild, acidic jazztronica to folk, rap (a first from Bowie) and industrial dance. 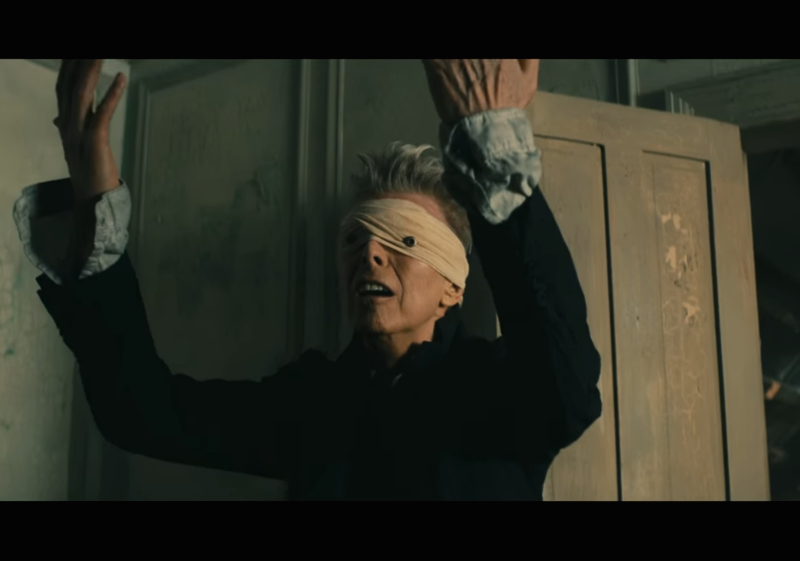 It also sees Bowie adopt his first new persona in decades, this time with the decidedly creepy blind prophet. Blackstar is an album that is best summarized by its first two singles, Blackstar and Lazarus. The former is a 10 minute long odyssey through amorphous musical movements, dense and cryptic lyrics, and a brilliant yet baffling music video that would feel more appropriately recognized with a BAFTA than a Grammy. The latter is a rather more radio friendly, yet equally evocative requiem that fits neatly with what we've come to expect from Bowie. One has to admire the fact that even at his age Bowie continued to experiment and push into new territory. After the excellent but relatively safe rock album The Next Day it would have been easy to assume that in his later years he had settled into a plateau of nostalgia and convention (albeit conventions that he had created some 50 years earlier), but this new album makes a clear statement that this is not the case. The trouble is that, as with much of the work he produced in the 1990s, his more experimental tracks really don't always hold together musically. Perhaps it says something about the greater trend in music as a whole that music these past 20 years really hasn't changed that much, but there doesn't seem to be as much room in music for someone to push the envelope as Bowie spent his career doing. As a result, Blackstar is utterly fascinating as an artistic work, but how many of these songs are you really going to listen to more than once or twice? The avant-garde tracks on offer here vary wildly, from the amelodic and incohesive Sue (Or in a Season of Crime) to the marvelously zany 'Tis a Pity She Was a Whore. When it works its quite brilliant, but for the most part it's hit or miss. Meanwhile those looking for something a bit more conventional won't find much here other than Lazarus, but would do well to check out Bowie's beautiful send off I Can't Give Everything Away, in which Bowie wonderfully samples his earlier track from the album Low, A New Career in a New Town, the context of which adds a lovely twist to his last ever song in hindsight. While the music is inconsistent, the artistic merit of this album is without parallel, even more so in the wake of Bowie's death. Launched before Bowie's illness had been revealed, fans and critics spent weeks picking through the lyrics and symbolism in these tracks. Theories abound that the title track was about ISIS, or the cult of celebrity, or other such intellectually complex ideas, and these analyses all contain merit. But the album's meaning changed completely on the day Bowie died (exactly as predicted in the lyrics to the title track come to think of it). Suddenly people went back and each song contained an entirely new meaning, sounded entirely different. How all this subtext was hidden in these tracks, only to suddenly become clear in an instant of revelation is quite the accomplishment. It was like an entirely new album being released. This was quite intentional, one album, two completely different contexts in the blink of an eye. David Bowie managed to turn his own death into a form of artistic expression, a feat which is frankly awe inspiring. For this reason at least, Blackstar will go down as a very memorable moment in a legendary career. Blackstar is a fine piece of art, a fascinating work that requires listening to at least once, even if the songs themselves are unlikely to receive much play-time on our iPods.